As the dream of owning a home slips out of reach for many Australians, experts warn significant change is needed to provide more security for long-term tenants. While the average Australian is still living in a three-bedroom house and paying off a mortgage, according to 2016 census data released on Tuesday, the number of tenants renting for 10 or more years has almost doubled in the past 20 years. Renting has traditionally been seen as something young people do until they can afford to buy a home, but about a third of the Australian rental market are now long-term renters. Experts warn significant change is needed to provide more security for long-term tenants. In Queensland, the typical home is now just as likely to be rented as owned by someone paying off a mortgage, according to census data. “We’re transitioning from a time when home ownership was achievable and desirable, to now when it’s only desirable,” said Tenants Union of NSW senior policy officer Ned Cutcher. 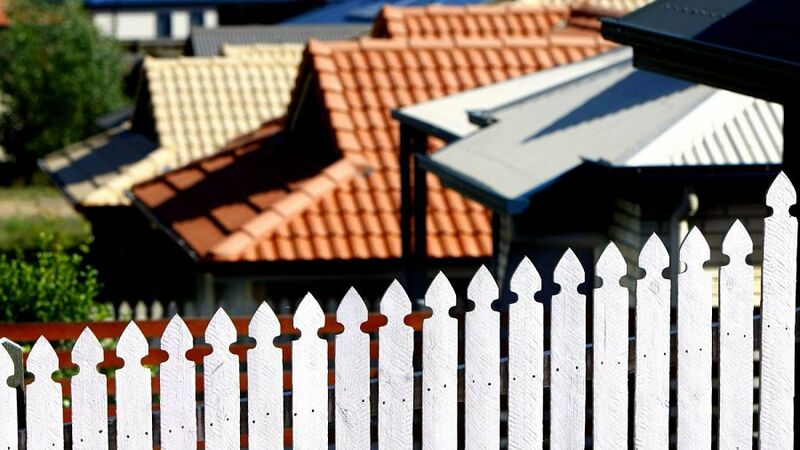 Mr Cutcher said while Australia was “rapidly becoming a renter nation” it would never be seen as an appealing long-term alternative until renters were given more security. Buyers are seeing the appeal of the lifestyle on offer in Sydney's south-west. He noted countries such as Switzerland and Germany – where tenants make up about 56 per cent and 48 per cent of the respective populations – showed long-term renting could be more than just a default for priced-out home buyers. He said apart from providing the option of longer fixed-term tenancies, rental regulations needed to be changed to put a stop to “no cause” evictions and require landlords – when increasing rent – to justify any rises above CPI rates. There is stiff competition for rentals in places like Sydney and Melbourne. Reducing rampant speculative investment from mum and dad investors – by making changes to negative gearing and capital gains tax exemptions – is also key to creating a better outcome for renters, according to Chris Martin, a research fellow at the University of New South Wales’ City Futures Research Centre. He said the focus on capital gains, had resulted in rental properties trading more frequently and a decrease in low-cost rentals, as landlords chased properties that would see the greatest gains, leaving cheaper homes to owner-occupiers. “Changes to negative gearing and capital gains tax discounts, would help restrain it [speculative investment] … and open up more space for landlords with a longer-term view,” he said, noting it would also open up the rental market to more institutional landlords. Professor Martin disagrees. He argued negative gearing gave investors a competitive edge that pushed more first-home buyers into longer-term renting. But he was pleased with Mr Morrison’s announcement that the government was “establishing a taskforce to look at harnessing large-scale private investment through a bond aggregator concept“, which could kick-start tens of millions of dollars in investment in affordable housing. “Institutional landlords, both in and outside the affordable housing space, will be in a position to offer more secure tenancies,” said Professor Martin. He noted while some tenants – generally higher-income professionals – enjoyed the flexibility of short-term rental agreements, the majority of renters – lower-income earners who can’t afford to purchase a home – would embrace the security of a longer-term tenancy. Both Professor Morris and Professor Martin also noted changes would need to be made to retirement income systems. Professor Morris said his research had found the levels of anxiety and insecurity among long-term renters – particularly older renters often living in dire circumstances – were profound.